Two Enclosures. 6'h x 20'w x 10'd each. 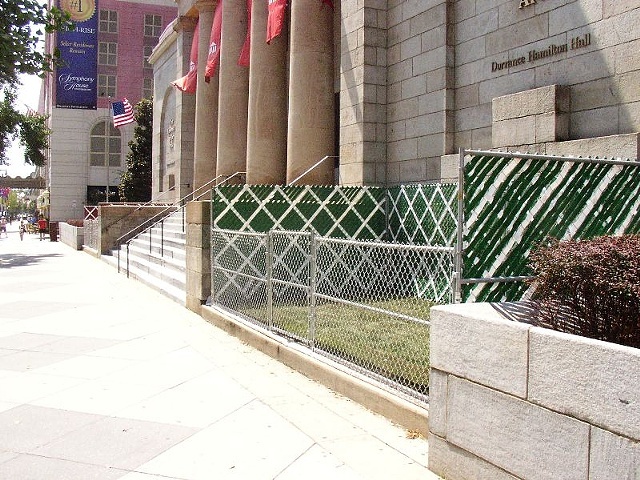 Commissioned installation at The University of the Arts in Philadelphia, PA. Sod and fencing installed on two existing concrete platforms.